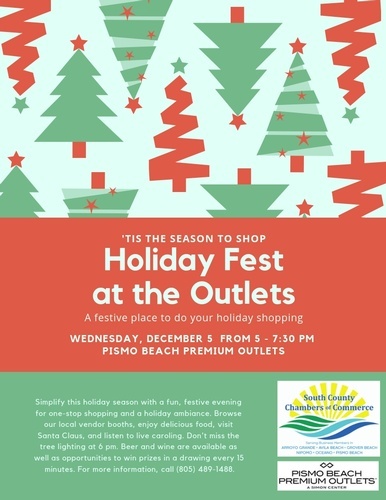 South County Chambers of Commerce presents the Holiday Fest Mixer at the Premium Outlets. Simplify this holiday season with a fun, festive evening for one-stop shopping and a holiday ambiance. Browse our booths, enjoy delicious food, visit Santa Claus, and listen to live caroling. Don't miss the tree lighting at 6pm. Beer and wine available as well as lots of great raffle prizes. 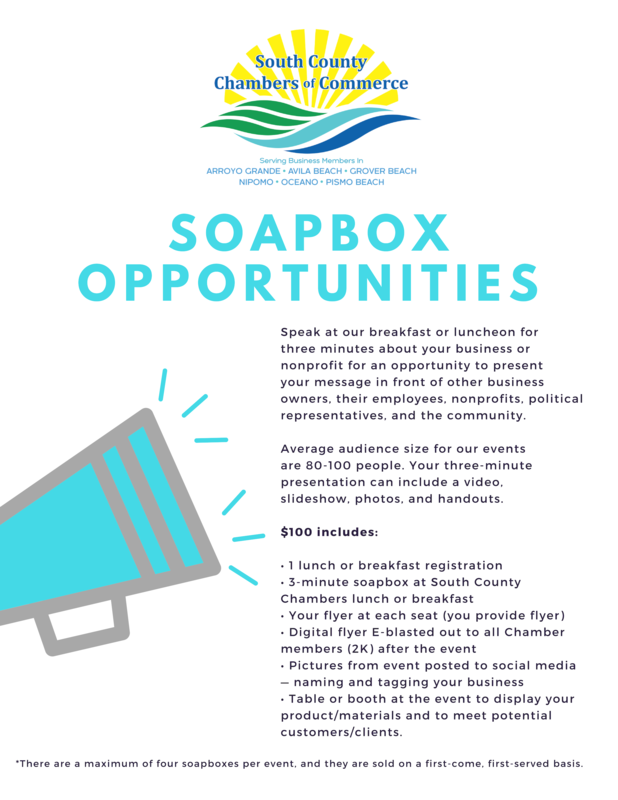 If interested in booth space, please contact chamber office: 805-489-1488 (must be a SCCC chamber member to have a booth space) Limited booth space.